As a consumer lender, you operate in a fiercely competitive market governed by increasingly stringent regulation. You differentiate your business not only by price but, just as importantly, by the quality of the loan application experience and the speed funds are received. Our SLA-backed service does away with poor reliability out-of-hours and on weekends and ensures that your business can make payments even out of traditional business hours, with support on-hand when you need it. Your customers expect to receive their loans on time. Real-time payment notifications also allow you to quickly resolve errors and accurately calculate the interest on the account. Traditional collection and reconciliation processes are slow and often require manual handling. By automating them, we reduce your operational costs and enhance your ability to scale. Pay out customer loans in under 90 seconds. Onboard new customers quickly and securely to gain competitive advantage. Streamline operational costs through payment flow automation and real-time notifications. Ensure accurate interest calculation with payment receipt notifications. Access your payments facility 24x7 with no down time. Manage your risk with a regulated payments partner. 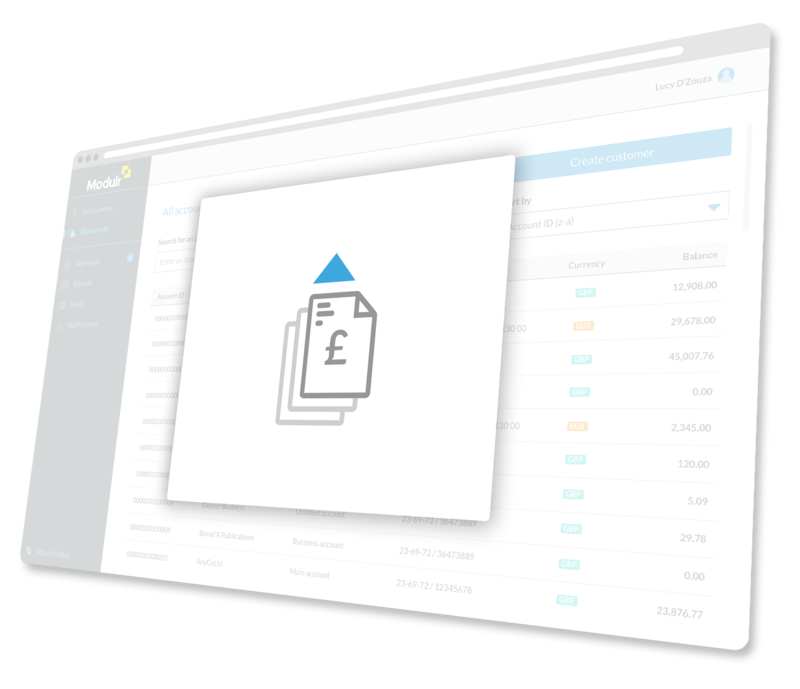 See how this fintech business benefitted from Modulr’s simple and clear payment processes. Modulr is backed by Blenheim Chalcot, the UK’s leading venture builder. Founded in 1998, Blenheim Chalcot specialises in building digital businesses that transform industries. It’s portfolio of companies has sales of over £300m, more than 3,000 employees, and a successful track record of building over 40 companies across IT services and outsourcing, education, financial services, software, sport and media.